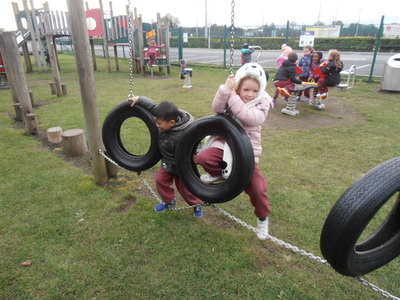 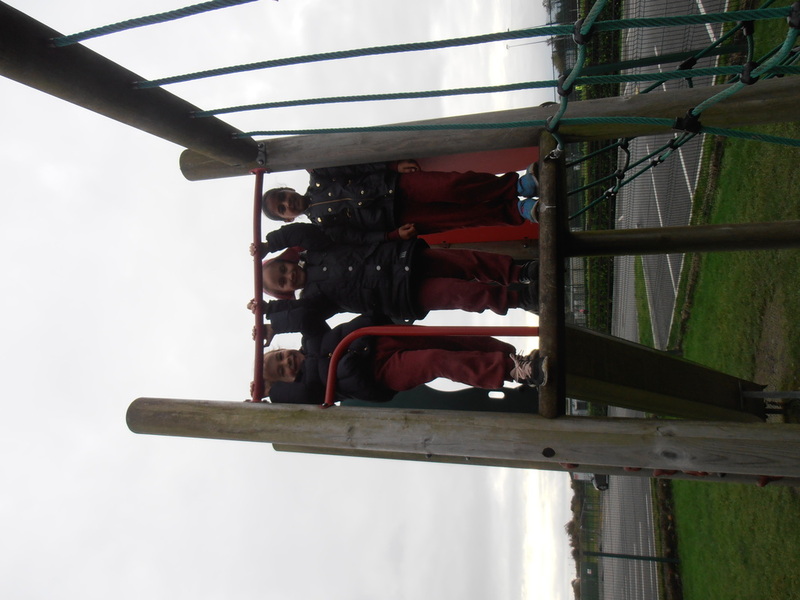 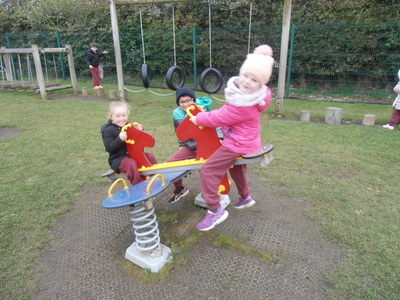 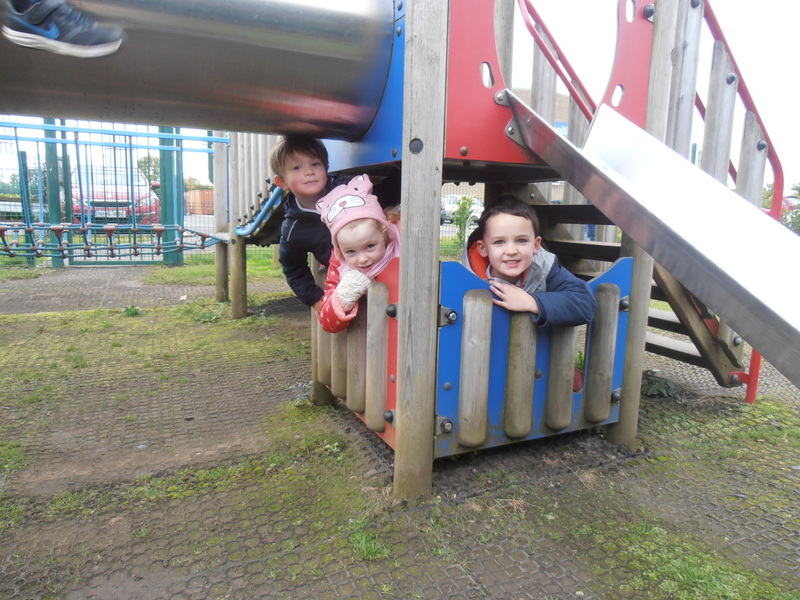 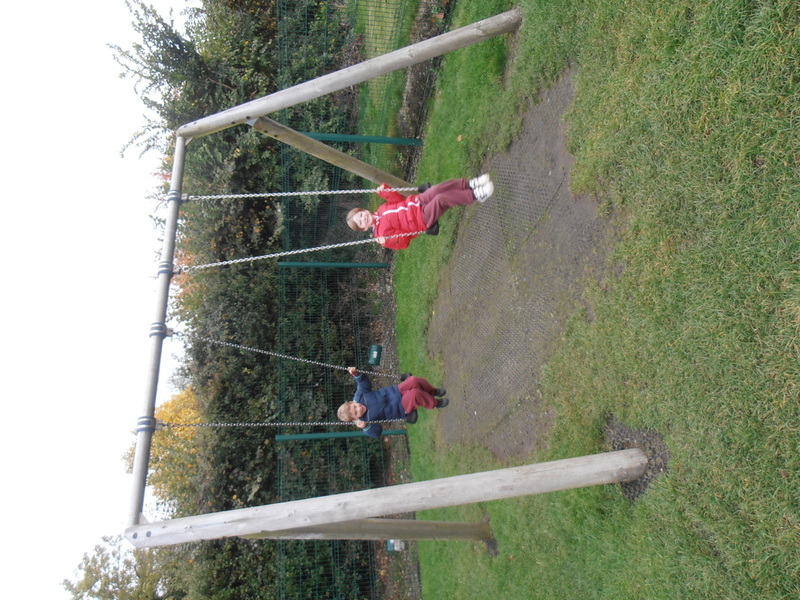 Senior Infants have been working incredibly hard for the past few months, and as a treat, they took a trip to the local playground. Everybody had great fun and there were lots of tired children at the end of the day. 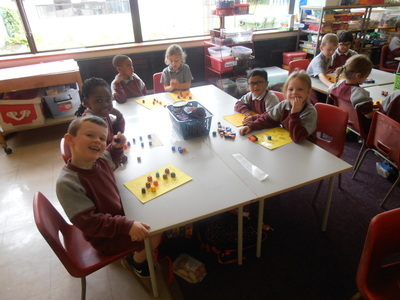 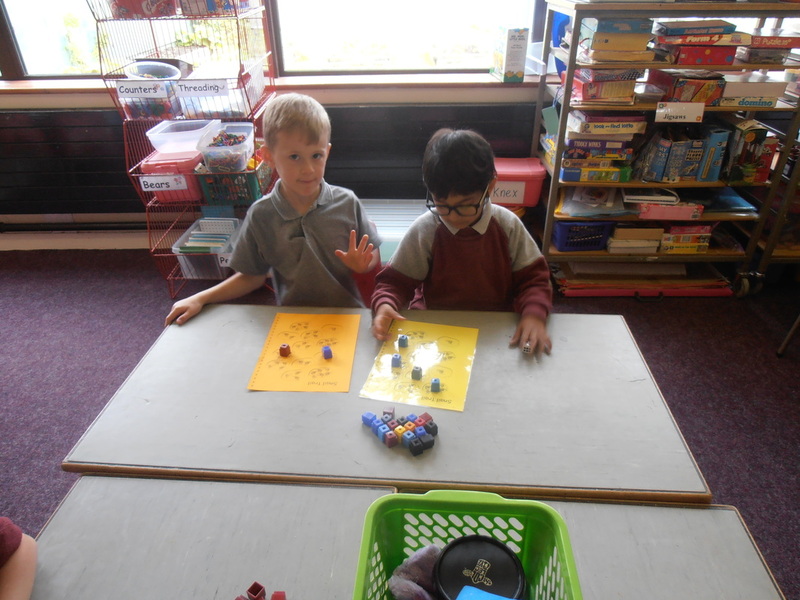 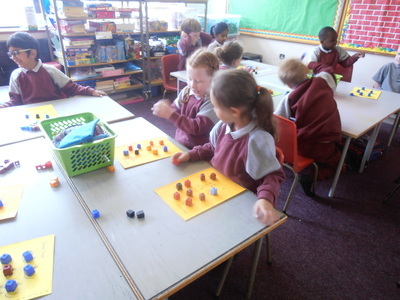 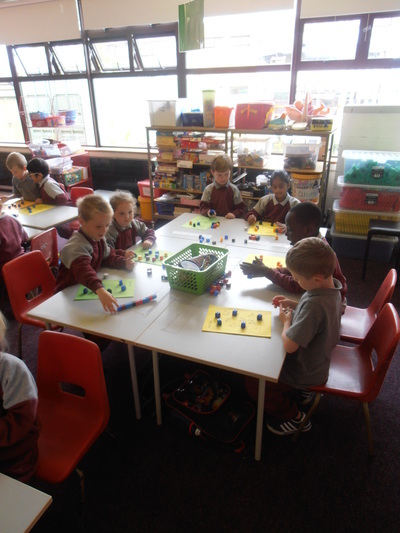 ​In Senior Infants, we’ve been having great fun learning how to play lots of new Maths games. 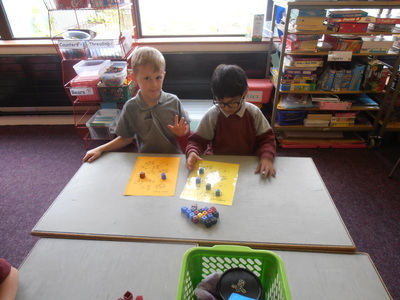 We really enjoy counting forwards and backwards in Room 6, and do lots of counting practice every day. 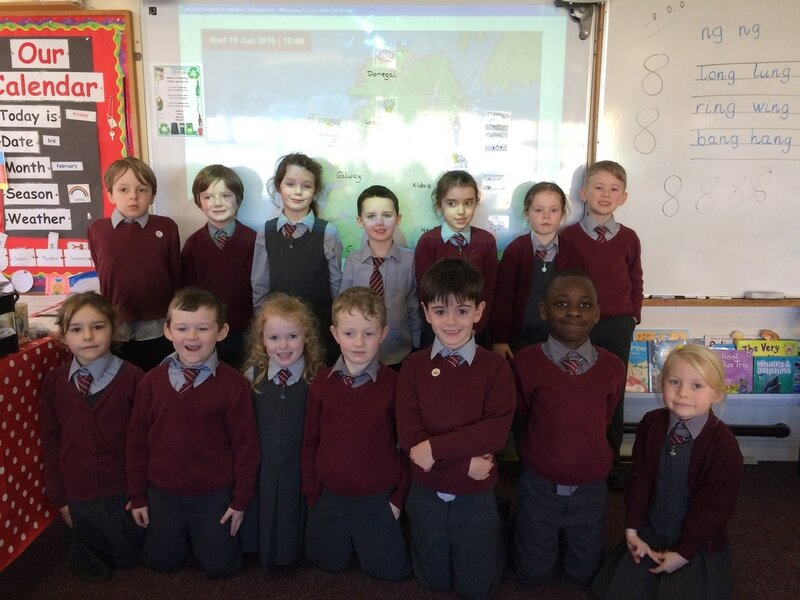 ​On Jersey Day, the entire class dressed up in their favourite jerseys. 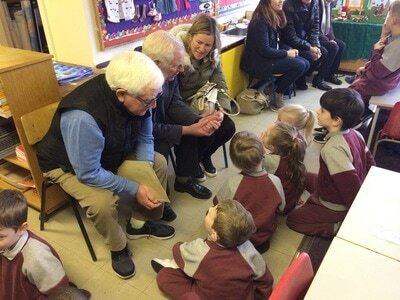 Some children had Kildare jerseys, some had Dublin ones. 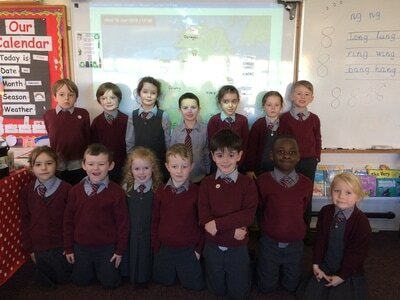 There were also Ireland jerseys, and lots of soccer and rugby ones. 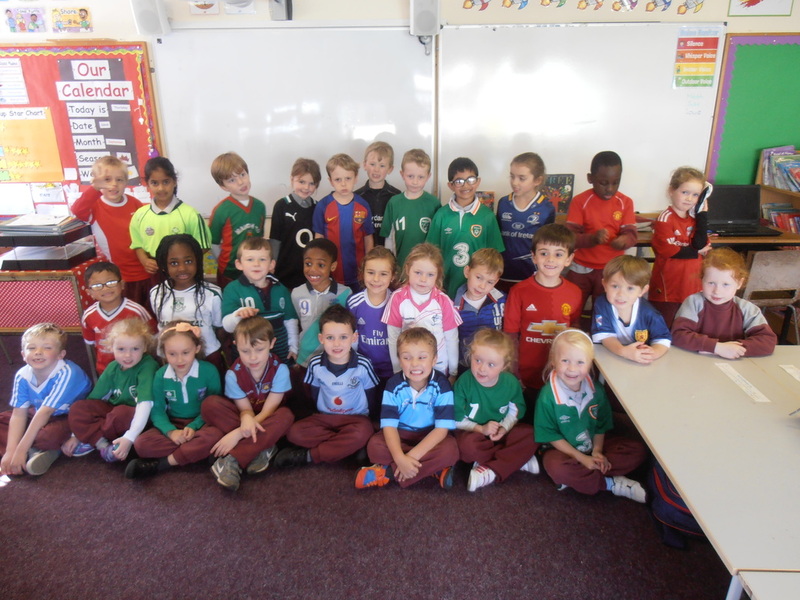 We raised a lot of money for GOAL through our Jersey Day fun. 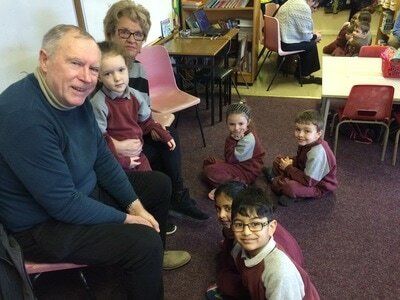 ​Mrs. 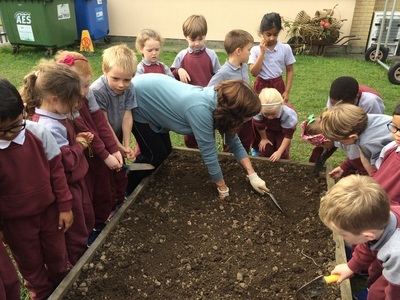 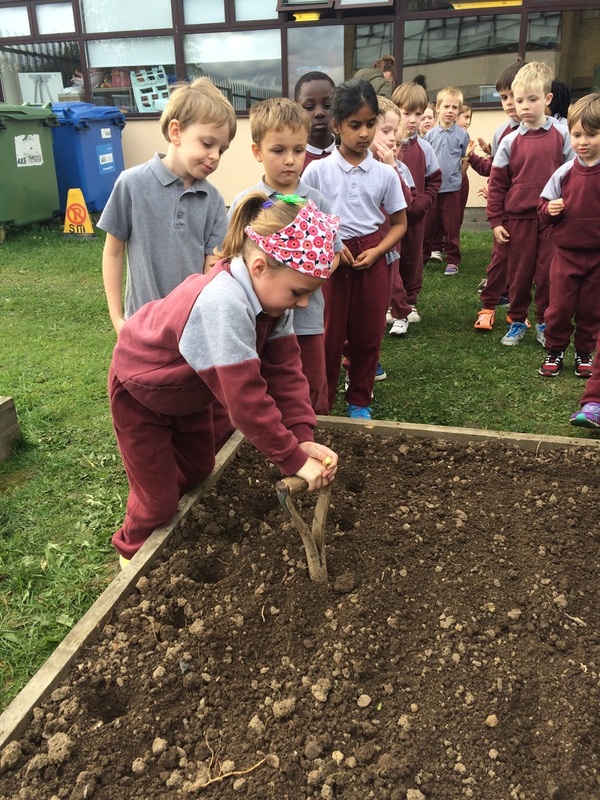 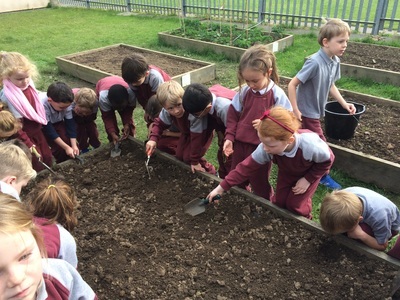 Daly came back to visit Senior Infants and to help us to plant some onions. 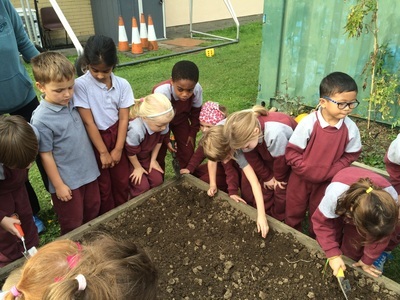 We learnt that onion seeds are called bulbs. 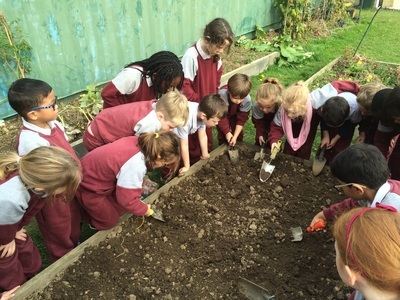 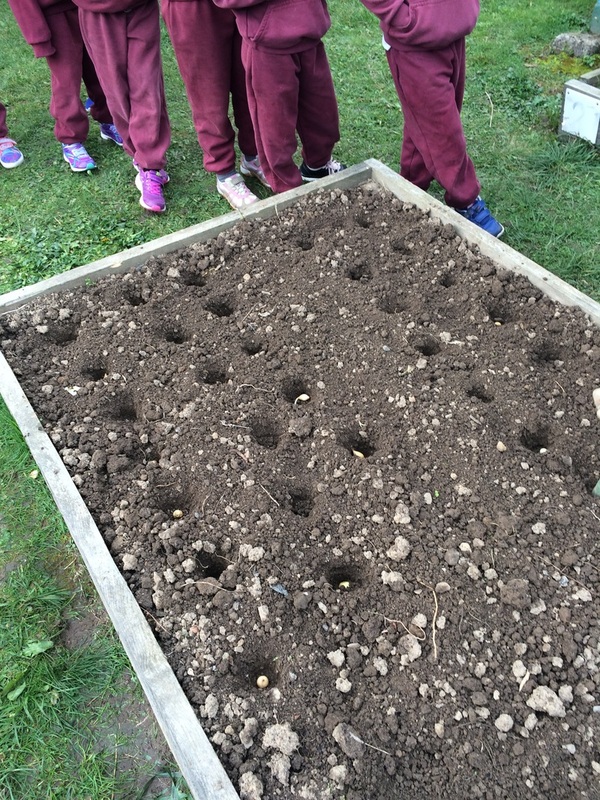 First we had to aerate the soil, then dig holes, plant the bulbs and cover them over. We are really looking forward to Spring when we’ll be able to harvest our onions. 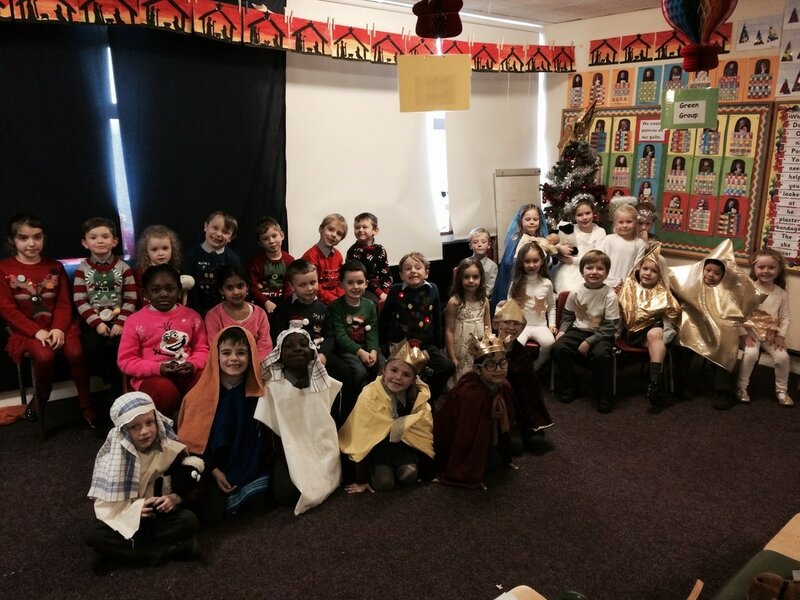 Some very happy faces after our successful Christmas concert. Our play was called Fishing For Stars. 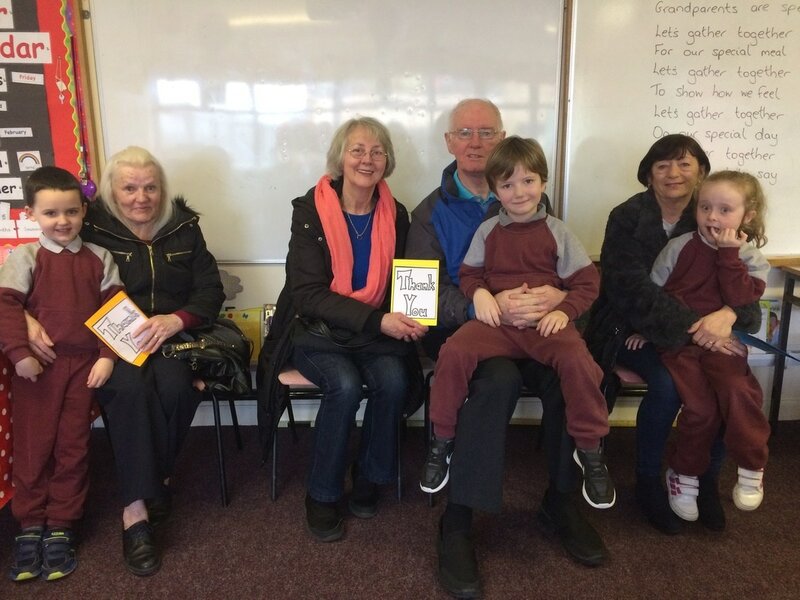 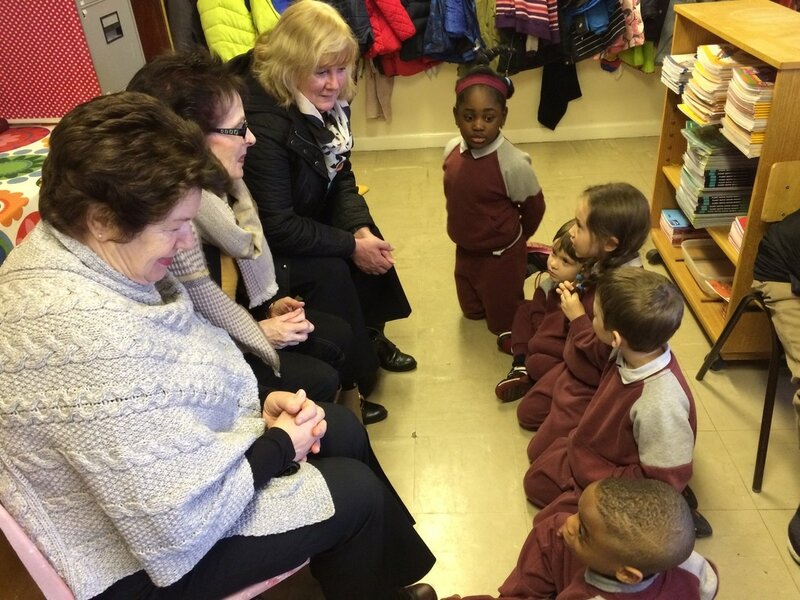 ​On Grandparent's Day, we invited our Grannies and Grandads to visit our classroom. 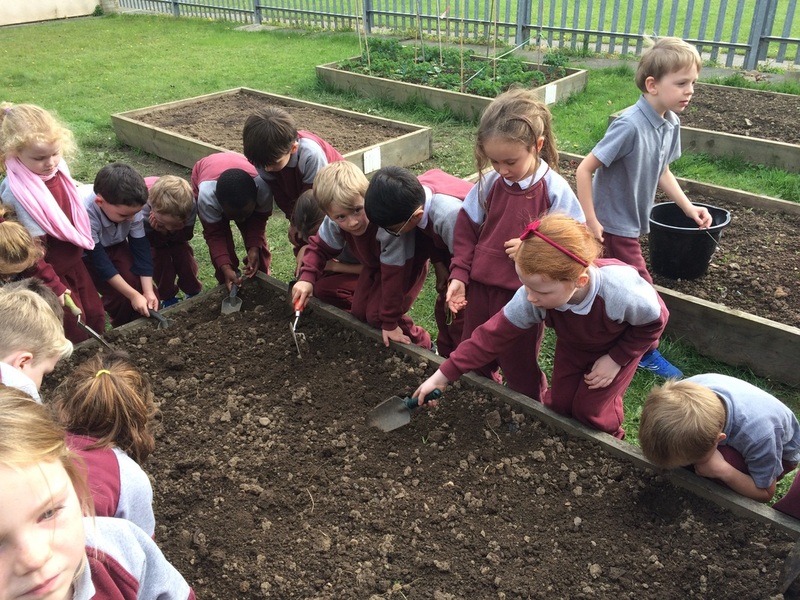 We prepared lots of questions about what life was like in the old days when they were young. We really enjoyed their visit to Room 6. Senior Infants have been learning all about the weather and the job that weather forecasters do. 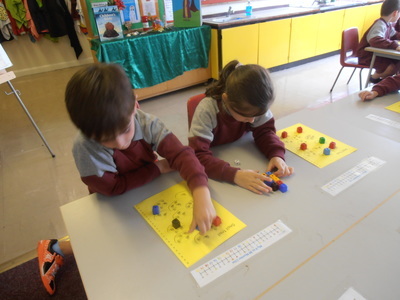 We pretended to be weather boys and girls ourselves and presented our own version of the forecast. 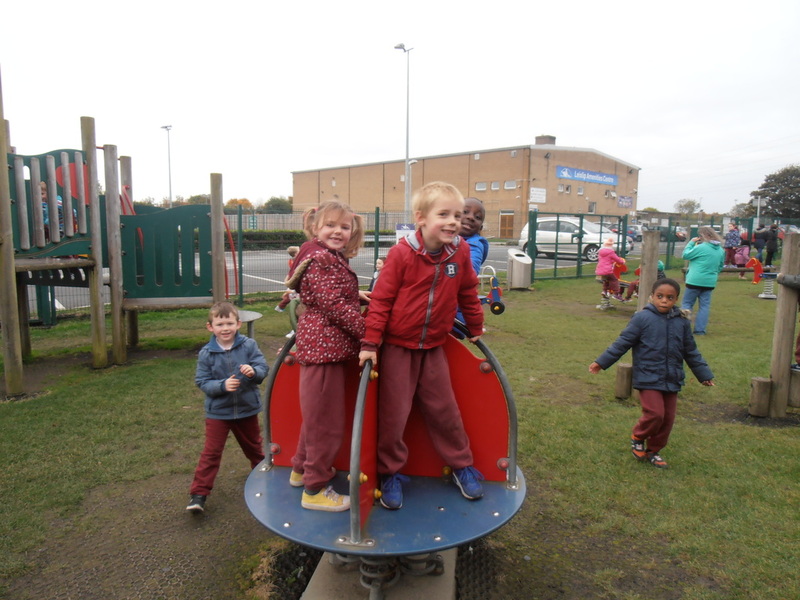 We had great fun. 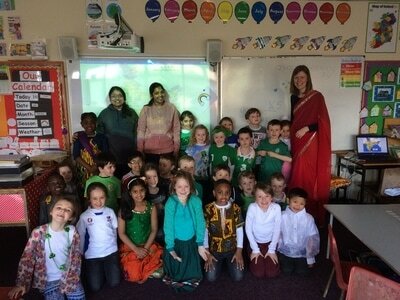 Friday, 31st of March was Intercultural Day. The children in Senior Infants dressed up in their national costumes and paraded around the hall for parents and other classes to see. 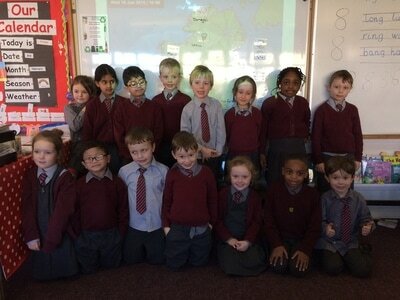 We also learned a poem in Hindi and invited some parents into our classroom to talk about their countries. 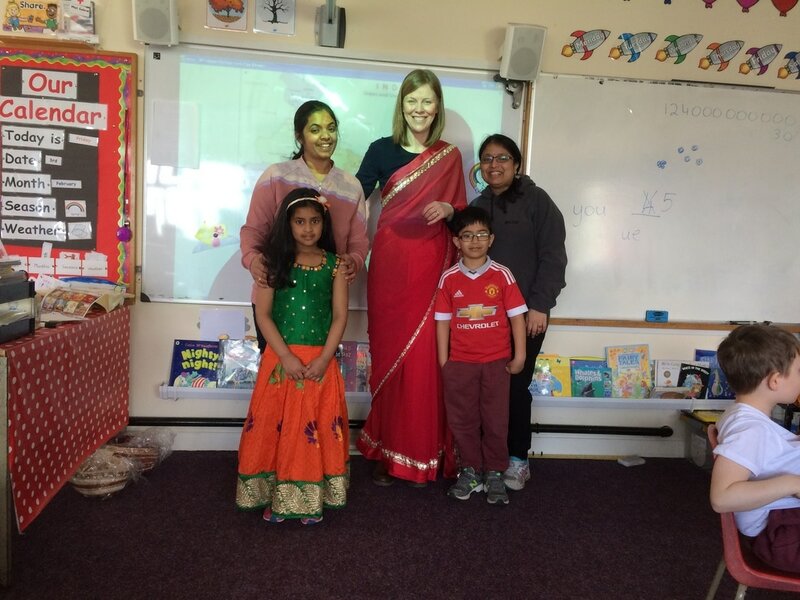 Samanvitha's mother and Naren's mother taught us all about India. They even brought in a sari to dress Ms. Doyle up in their national costume. 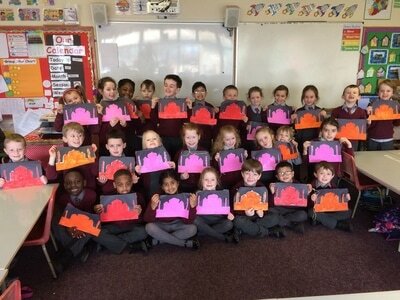 Everybody enjoyed the day, especially painting the Taj Mahal.